Awesome game Diva Destruction! 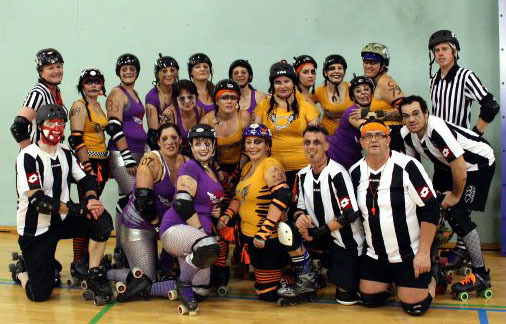 Congratulations for taking out Bout 2 of First Blood against Deathrow Dolls on Saturday night! This makes it one win each to our interleague teams so the third and final bout on the 24th of September is gonna be an EPIC battle! First Blood #2 Death Row Dolls vs Diva Destruction…, a set on Flickr. This entry was posted on August 30, 2011 by nnderby. It was filed under EVENTS! and was tagged with Northland Nightmares, Northland Nightmares Roller Girls, Northland Nightmares Roller Girlz, Roller Derby, rollerderby.